Wrestlemania Speculation! Taker, Strowman, Bryan and more! The Compadres are back and diving into this week in wrestling. 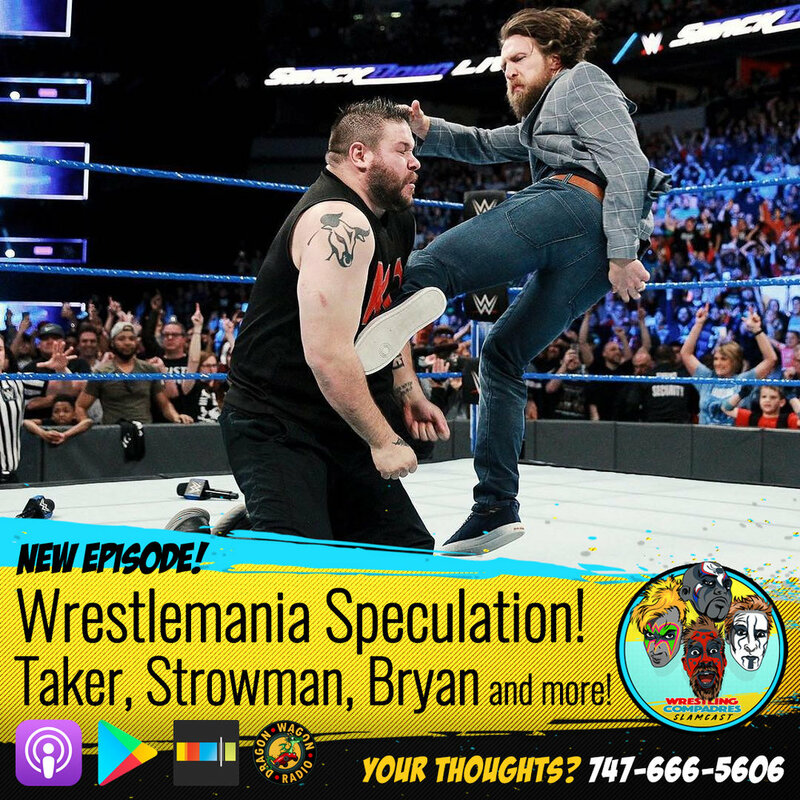 Talking all about the continuing Road to Wrestlemania and throwing speculation everywhere about when/if The Undertaker appears to accept John Cena's challenge and talking all about the return of Daniel Bryan and what Wrestlemania is going to look like for him. Talking about the recent New Japan Pro-Wrestling event in Los Angeles as well as a big week on IMPACT wrestling with firings, debuts and accidental dirty talk. We also ask YOUR opinions on who Braun Strowman's partner will be as well as answer your questions from the COMPADRES HOTLINE! All that and more on this week's Slamcast! Newer PostWrestlemania 34 Preview Predictions & More! Older PostDaniel Bryan, Ultimate Deletion, & interview with Josh Mathews!